Bathing your dog can be quite the hassle. Sometimes they don’t sit still and it also can create a mess for you to clean up when bath time is over. Their fur can clog your drain or them shaking off water can be frustrating and messy in your home. Because of this, you probably don’t ever look forward to bath time. But how often are you really supposed to wash your dog? Bathing too often can lead to dry skin, while not bathing enough can give you a smelly dog. Here are some tips on knowing how often to wash your dog and tips to doing so. Dogs have natural processes and habits that allow them to groom themselves. This helps their hair follicles grow and keeps their skin healthy. Even though our dogs can groom themselves, they also need us to bathe them too. It is a supplement to their own process, but too much bathing can also be bad. Because of this, you have to find the healthy middle ground. The average dog with average skin should be bathed once a month. If you are deciding to bathe more than that because of smell or just preference, be sure you are using a soap free or moisturizing shampoo. If you use a regular shampoo too often, your dog’s skin will become very dry, itchy, and unpleasant for them. While it is okay to bathe your dog more than once a month, do not bathe them more than once a week unless specifically told to by a vet. 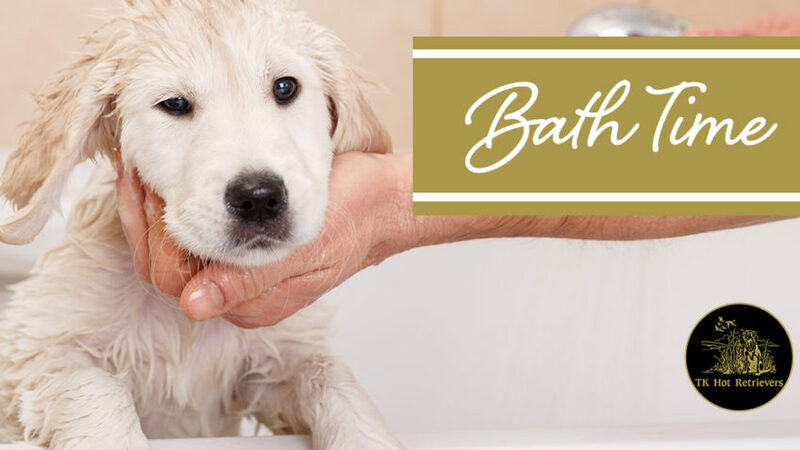 There are a few things that may influence your dog needing to bathe more than once a month. If your dog spends a lot of time outside and has a lot of issues with allergies, they may need to be bathed more often to be sure you are washing away any pollen or other causes of the allergies. If your dog is always rolling around in grass, dirt, fields, etc. you should probably give them a bath more frequently to avoid any skin irritates. More active dogs who become smelly quickly also need more baths. A general rule of thumb is that if you can smell your dog when they enter the room it is time for a bath. Every dog is different, meaning every dog’s bathing schedule will be different too. Just be sure you’re giving your dog the care they need and are being attentive to their hygiene.